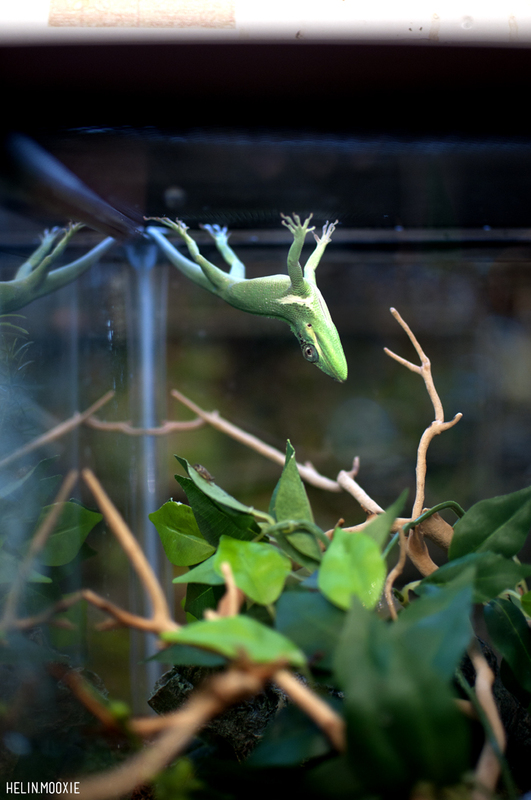 Terrarium, think terrestrial-aquarium, this is the word used to describe the habitats created for all sorts of reptiles amphibians, insects and arachnids. They are usually based on a natural habitat, making sure to take into consideration things like; different types of substrate, humidity levels that need to be kept, space, hiding spots and lighting quality. In a terrestial-aquarium you are trying to create the most natural environment possible while still insuring that it is easy enough to keep clean and of course you would like to be able to view your pet. Terrariums come in a lot of different sizes from tiny enclosures for tarantula spiderlings to large enclosures meant for a red tailed boa or green iguana. Many of them are made of glass with a screen top, but we also carry terrariums with all screen sides, which are particularly good homes for chameleons. We carry substrates or flooring for all types of environments, even planted terrariums. 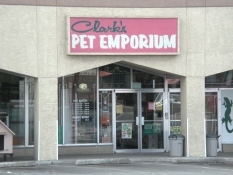 From swampy to desert and a wide range of forest climates in between, the experts at Clark’s know what you need for your animals.